The Pathophysiology Of An Asthma Attack - What Is It All About? 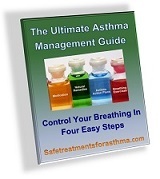 If you have ever had moments where you could not breathe, you might be suffering from asthma. It is defined as a chronic medical condition in which the lungs are oversensitive to certain allergens. It is only natural for someone with asthma to feel a need to know everything about the condition and how it effects the lungs. What you've learned here can be applied in your life, helping to control your disease and keep stress at a minimum. Use the information from this article, and you will realize that you can have asthma and still live a comfortable life. An unacceptable number of people die from asthma attacks. Although asthma is dangerous, it does not have to be lethal. Rather than being a victim, you can understand the pathophysiology of asthma and learn how to control it. The key players are the triggering agents (or allergens), the cells that produces the overreaction, and the resulting asthma symptoms. Asthma is a very complicated disease that involves many cells overreacting to an asthma trigger or potential threat. The lungs are massive vessel-like organs in the chest cavity. They are the largest and most essential part of the respiration system. The air we breathe enters and exits our lungs through two passages; the bronchioles and the bronchi. Lungs’ main responsibility is to take oxygen from the atmosphere and transport it into the blood stream. It then sends carbon dioxide from blood into the atmosphere. An asthma trigger is an environmental factor that stimulates the lungs to react abnormally. It can be any food, drink, or smell. For example, cigarette smoke is a very potent trigger. Others include animal dander, dust mites, cockroaches, molds and pollen. Triggers are everywhere and different for every person. You will have to watch your breathing and see what affect it on a daily basis. 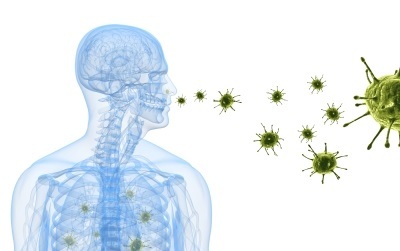 Normally the immune system defends the body against foreign organisms. 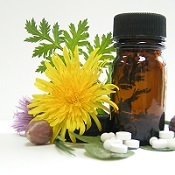 It fights substances such bacteria and viruses and remove them before they do harm. But this can be dangerous when there is no real threat but your body tries to defend itself anyway. During an asthma episode, the white blood cells are a major part of the overall reaction. They are the warriors that fight germs and foreign bodies. When a trigger set off an attack, the white cells are stimulated to fight. They also send a message to the cells in the lungs and they respond by swelling. 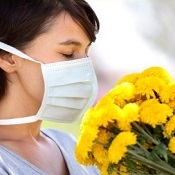 Although this is a normal process, it can be dangerous when the body over reacts to everyday allergens. When the lungs are triggered by allergens, the walls of the passages swell. This eventually blocks the air getting into the lungs and decreases oxygen reaching the body. Muscles within the breathing tubes of the lungs contract and lead to more narrowing of the airways. This makes it hard the lungs to move and push out air. This difficulty to breathe leads to the typical symptoms of an asthma attack. Another problem is that extra mucous is made for added protection. If the irritation of the lungs does not stop immediately, this leads to contraction of these muscles and production of thick mucus. Although this may seem strange, the airways are filled with mucus to block more allergens from entering the lungs. In the end, the swelling of the lung airways, constriction of the lung muscles, and production of thick mucus all together cause a narrow passageway for air to get through. Eventually, if the trigger is not removed, the lungs will shut down completely and no air will circulate at all. During an asthma attack, the airway gets inflamed and restricts the airflow to the lungs. It directly effects your breathing and leaves you short of breath. It makes you wheeze and you can experience chest tightness. During an asthma attack the production of mucus by airway cells increases and it further causes obstruction in the air flow through tubes. 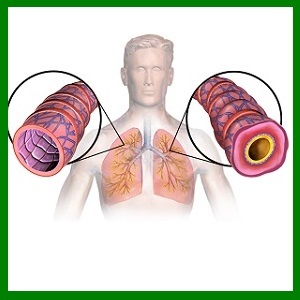 For those with asthma, swelling in the hollow tubes that fill the lungs makes breathing difficult and uncomfortable. This inflammation causes an increased sensitivity to allergens and a host of other asthma triggers like exercise, medications, stress, pollution, humidity and even laughter. The combined effect of all these changes is what causes a person to experience asthma symptoms. These include wheezing, shortness of breath, chest tightness, and coughing at repeated intervals. Most people with asthma with a weakened lung function returns to normal when they are under the right asthma management plan. With the right asthma action plan, you can get your breathing back under control. But if you don’t know what to do, your symptoms will get worse. And this can become extremely dangerous. An asthma attack can be dangerous. Breathing is not something that you can do without. And it becomes a serious problem when you can no longer continue with normal daily activities. When it comes to asthma, the best first line treatment is always lifestyle and environmental changes. The best protection against asthma is to identify triggers and avoid and control symptoms. 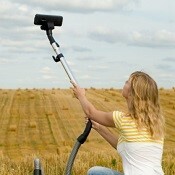 While it may not be impossible to remove all allergens, you can perform simple tasks to decrease your risk of exposure. If the symptoms of an asthma attack are not controlled, the lungs can undergo irreversible changes. This is called 'airway remodeling' and it is the reason why some asthmatics need to be carefully monitored by a health care team. If you know the cause, you can stay away to prevent asthma attacks. 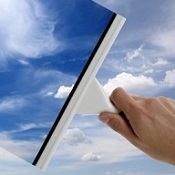 There are some common triggers that can invoke an attack, for example cigarette smoke, pollen, or pet hair and dander. Whenever you can, stay away from these agents that can trigger symptoms or cause full-blown asthma attacks. 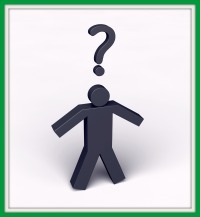 If properly managed, this chronic problem does not have to interfere with your life. 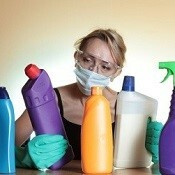 If you keep a clean home, work area, and school environment, you can eliminate many allergens that can set off symptoms. And with the right medication and treatment plan you can finally breathe normally.